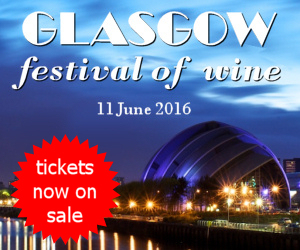 Wine-pages celebration of wine happens in Glasgow on Saturday 11th June and it looks as though it will be an outstanding success. With over three weeks to go 250 tickets have been sold, the classy line-up of exhibitors and wines is complete, and all three masterclass sessions have sold out. If you want to snap up one of the remaining tickets for this celebration of wine visit festival-of-wine.com and there are still a few places left for our Grand BYO dinner in the evening. Running from Monday 23 – Sunday 29 May, LWW sees a series of events in the capital, with multiple venues – restaurants, bars and clubs – participating with special wine offerings and events. For example, Novus Leisure, has announced that three of its venues have been ‘cherry-picked’ to ‘showcase excellence.’ The Balls Brothers of London bars Bury Court and Gow’s Restaurant,’together with Bar & Kitchen’s The Sterling will offer £5 wine flightst to customer’s wearing a festival wristband. 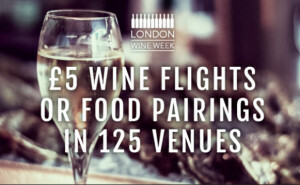 The organisers of London Wine Week claim over 500 different wines will be available to try at venues and events across the city, from rooftop barbecues to a Franciacorta pop-up tasting. Full details from drinkup.london/wineweek. NDtech was presented at the 2016 Unified Wine & Grape Symposium in Sacramento recently, the result of a five-year, €10 million research and development project, developedthrough a partnership between Amorim and a specialist firm based in Cambridge, UK. 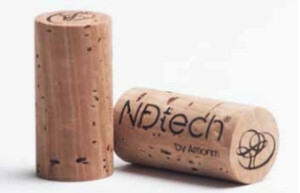 With high precision NDtech can detect any cork with more than 0.5 nanograms of TCA per litre (parts per trillion). These corks are removed from the production line automatically. 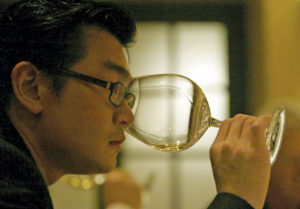 The latest true story from the world of wine to be turned into a movie is Sour Grapes, the tale of con-man and wine forger Rudy Kurniawan, who was sentenced to 10 years in prison in the USA in 2014, having been convicted of making and selling counterfeit wine from his kitchen, and fraudulently attempting to obtain a $3m loan. He mixed with the rich and famous of world wine collecting, and is suspected of receiving millions of dollars for fake wine, knocked up from cheaper wines with real, or his own ‘antiqued’ labels. Now the movie tells the story through interviews with key players. Its first UK screening is scheduled for the Sheffield International Documentary Festival on 12 June 2016. 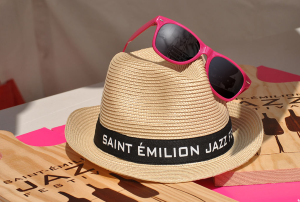 From 22 – 24 July this year the fifth Saint-Emilion Jazz Festival will take over the historic town and surrounding vineyards, welcoming 10,000 guests to an extensive programme of both free and ticketed jazz music events. Celebrated American jazz composer and bass player Marcus Miller will open this year’s Festival at Parc Guadet, whilst French jazz pianist Jean-Pierre Como will perform with a cast of musicians from around Europe. At Château Cheval Blanc, “carefully selected vintages,” will be accompanied by the music of French jazz trumpeter Stéphane Belmondo. See more at saint-emilion-jazz-festival.com. 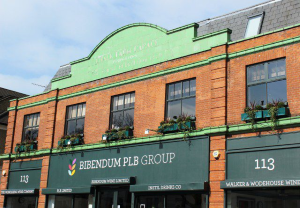 Though their retail shop in Primrose Hill closed more than a decade ago, Bibendum Wines remained a very, very significant player in the UK wine scene, at both fine wine and more general importing and distribution level for some of the world’s biggest wine brands. Now the acquisitive Conviviality Group has snapped it up. Conviviality, owner of Wine Rack and Bargain Booze chains, also bought large wholesaler Matthew Clark for £200 million, and this acquisition moves them further into the wholesale and distribution market, as well as owning the UK’s largest off-licence chain by far with over 700 stores. They are rumoured to have paid £60 million for Bibendum PLB.